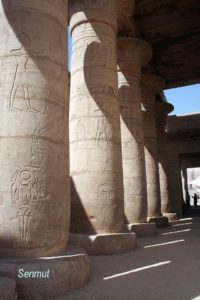 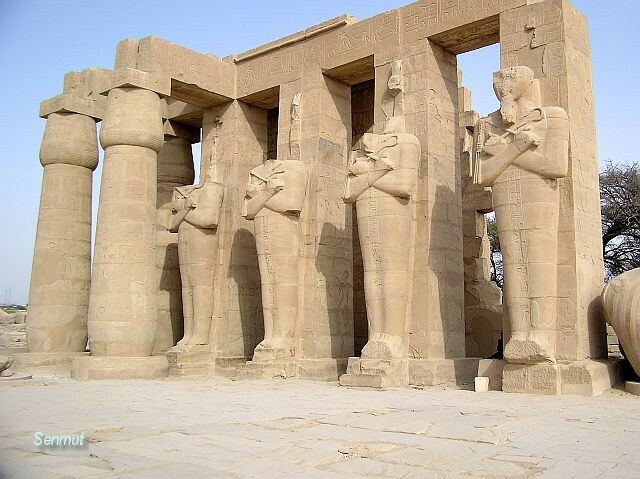 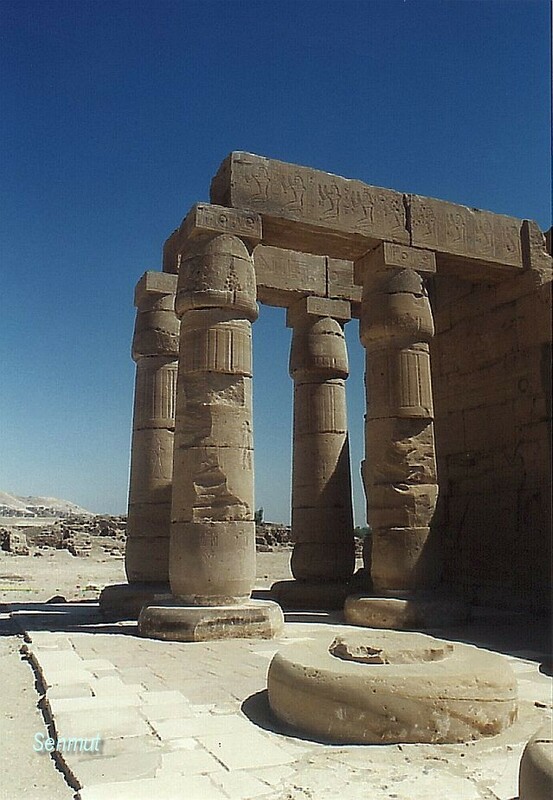 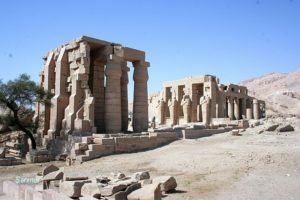 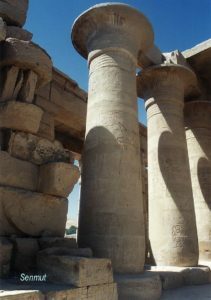 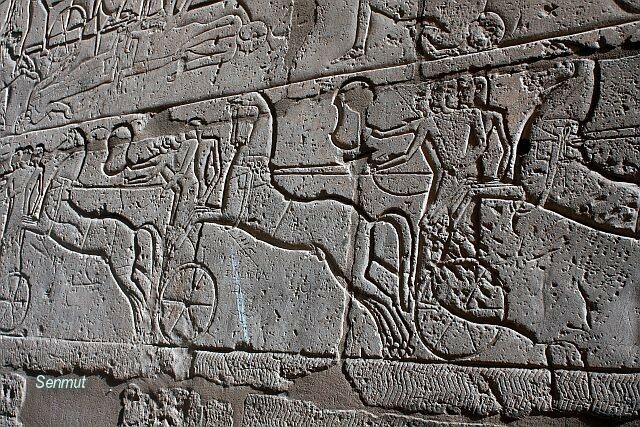 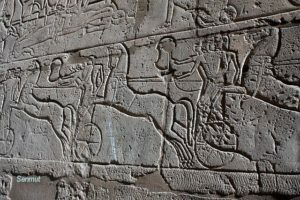 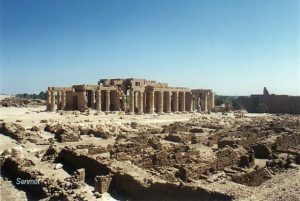 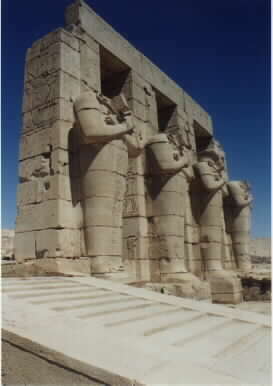 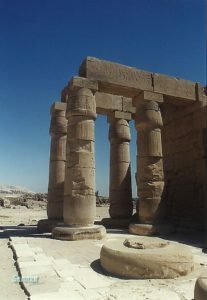 The Ramesseum is funerary temple of Ramses II, just built at the green zone, which marks the seasonal flooding of the Nile. 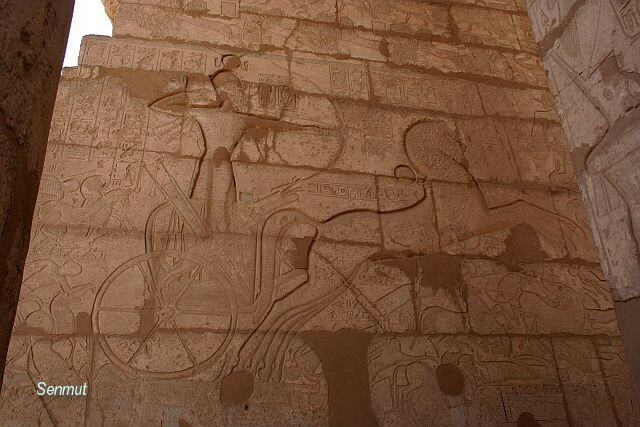 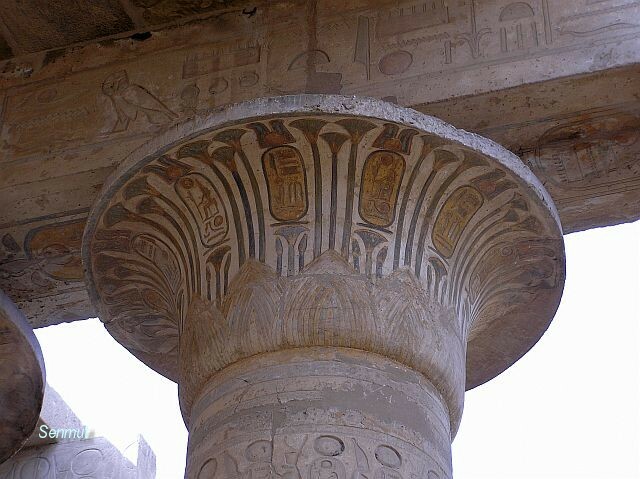 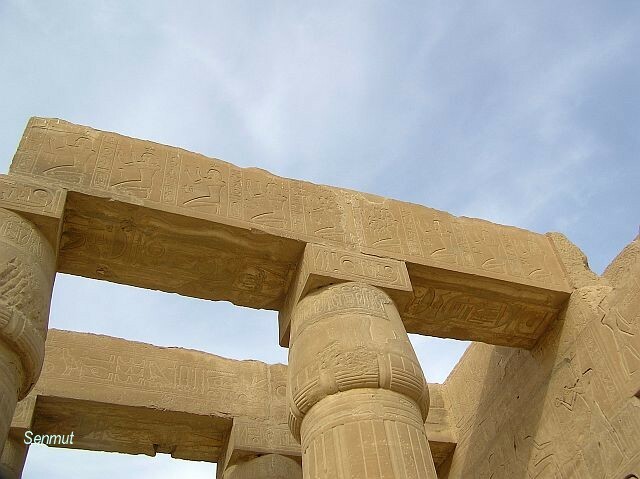 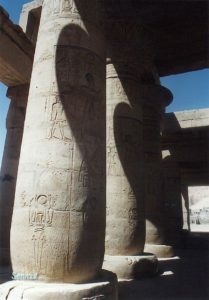 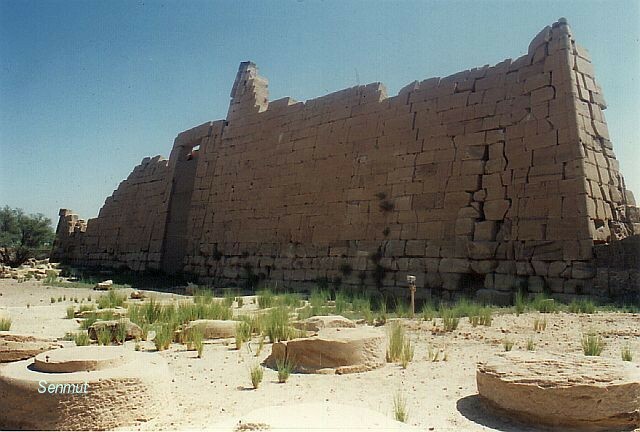 Although as large as the Medinet Habu temple, its remains are less. Earthquakes and robbery of the blocks have deteriorated the complex. 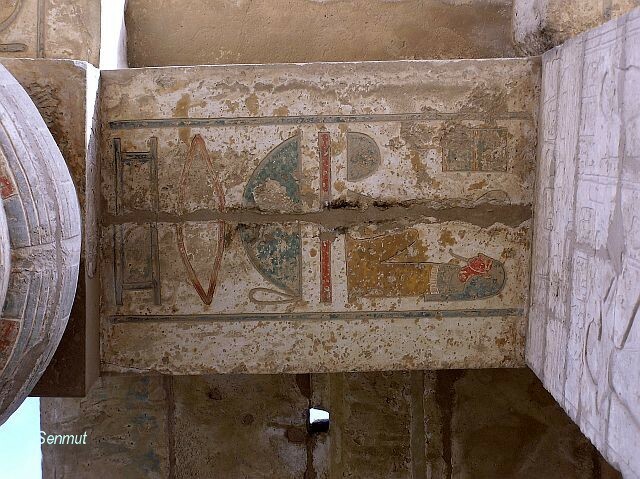 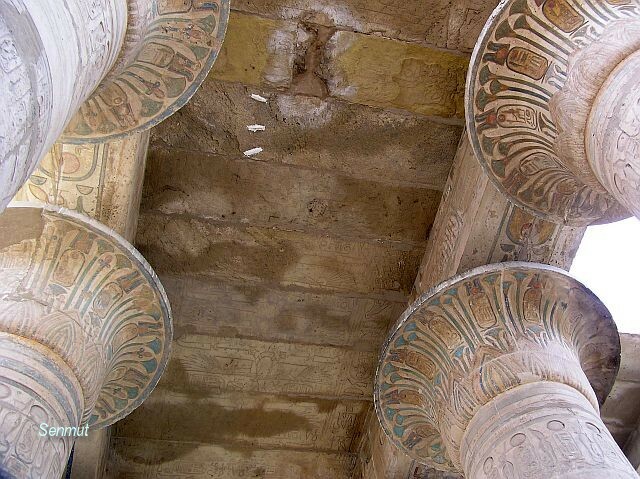 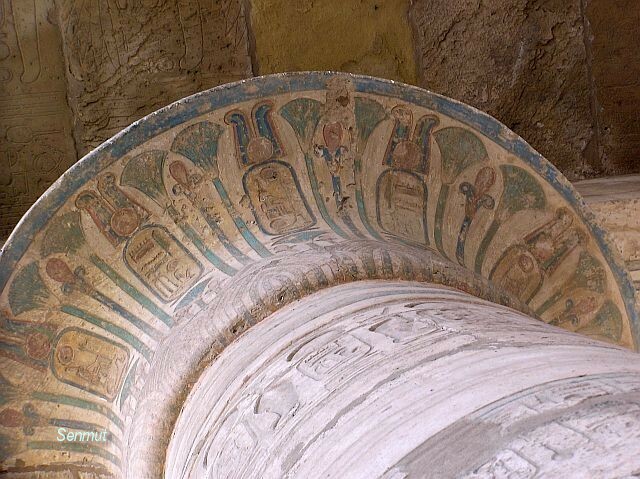 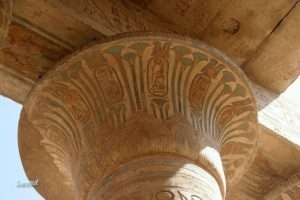 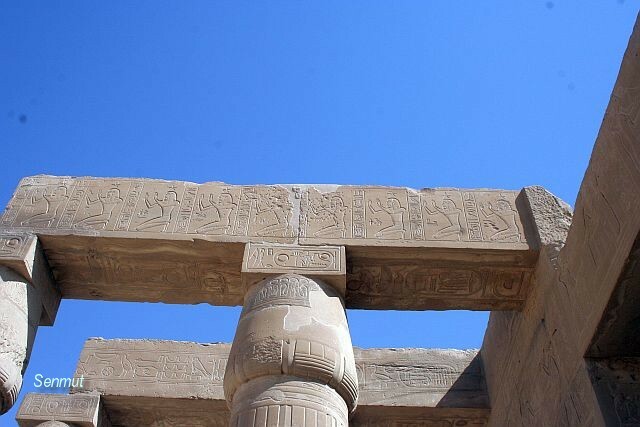 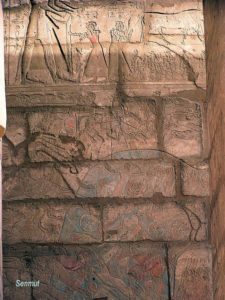 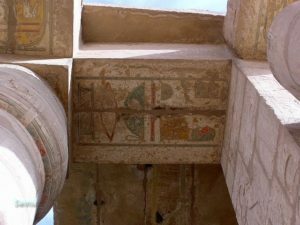 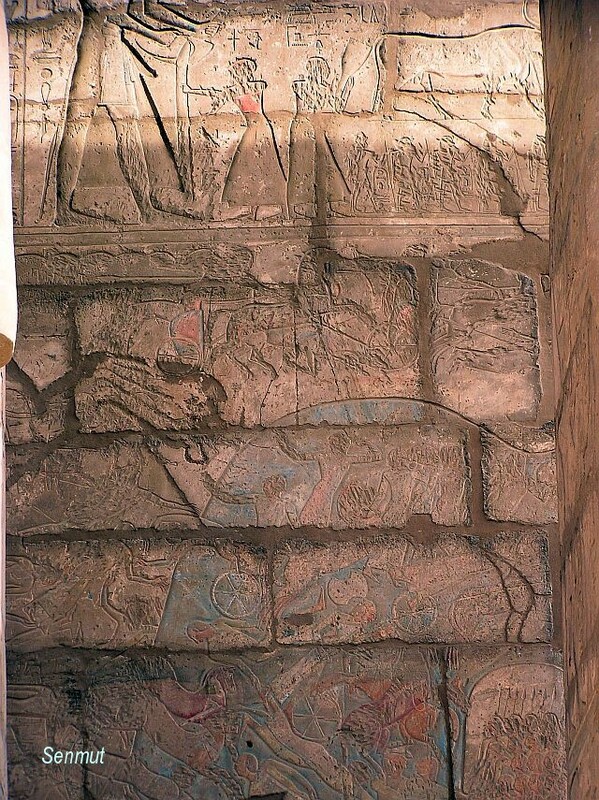 Amazingly the hypostile hall is still intact, where in the Medinet Habu temple this part is gone, but put them both together and you have an idea of the splendor it once was. 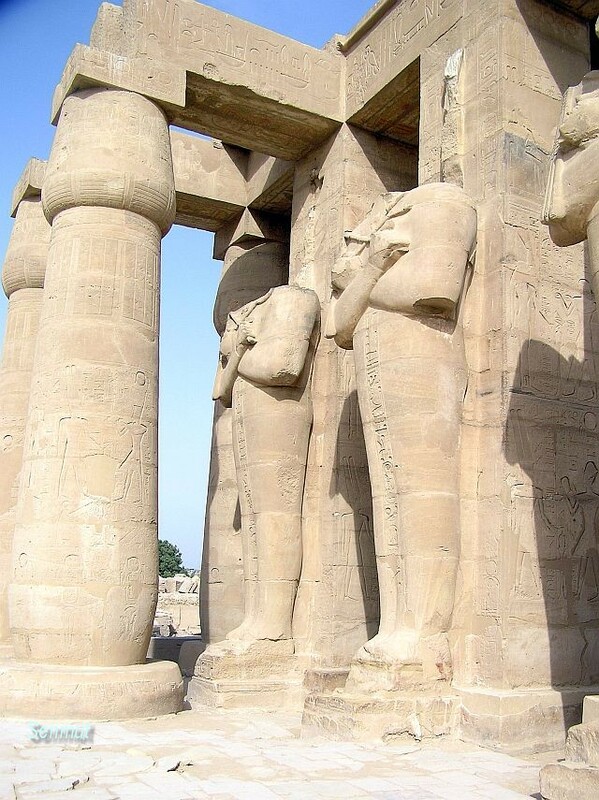 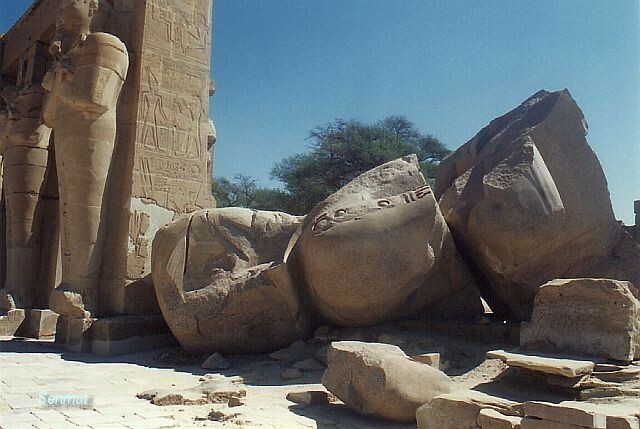 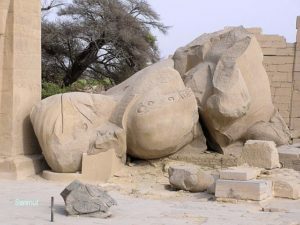 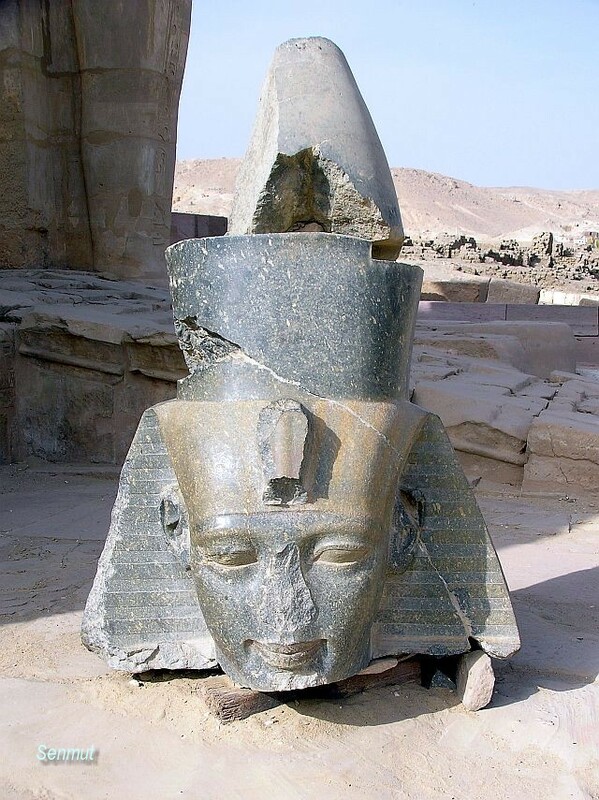 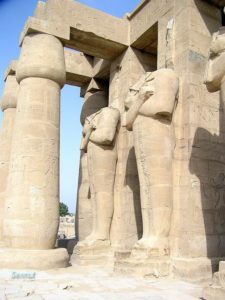 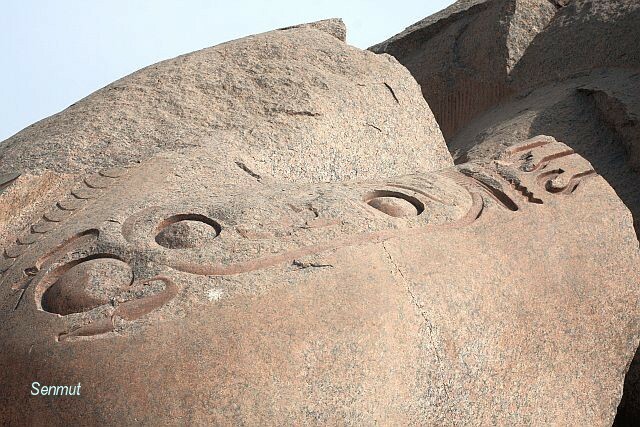 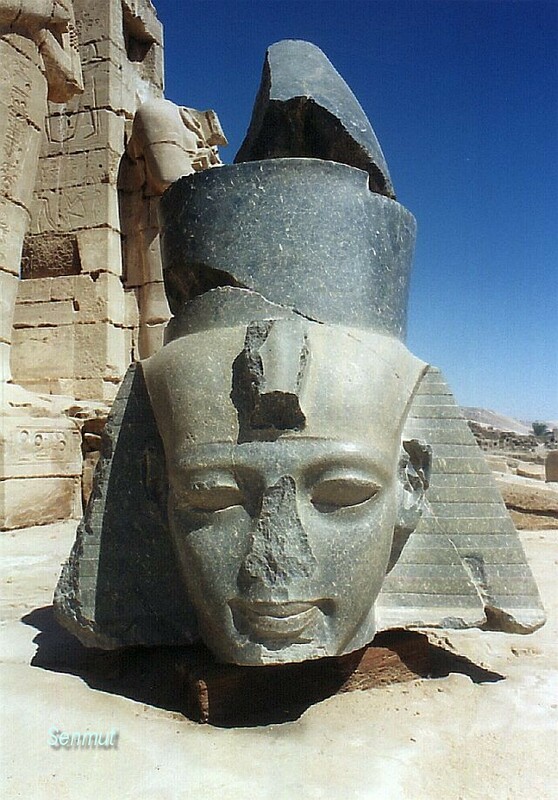 Beside the second pylon a hugh block of a statue of Ramses II lies as a witness of the large statue of the king, even larger than those of the Memnon colossi of Amenhetep III. 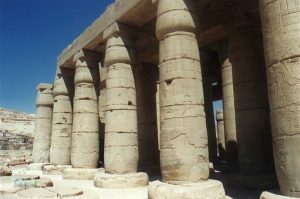 This temple was called too Temple of millions of years and was used as place of the mummification and rituals of the king.